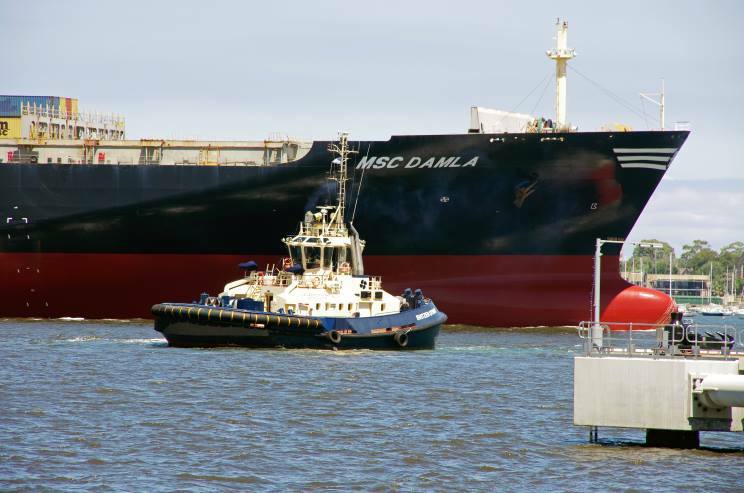 February 7, 2017: MSC Damla seen arriving at the mouth of the Yarra river, Victoria, Australia. The tanker Navig8 Sanctity is seen in the background. 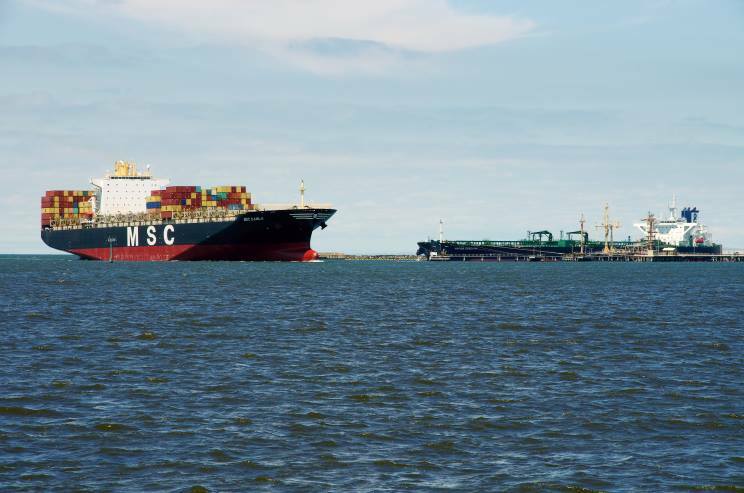 February 7, 2017: MSC Damla seen arriving at the mouth of the Yarra river, Victoria, Australia. The tug Svitzer Otway is seen at right. 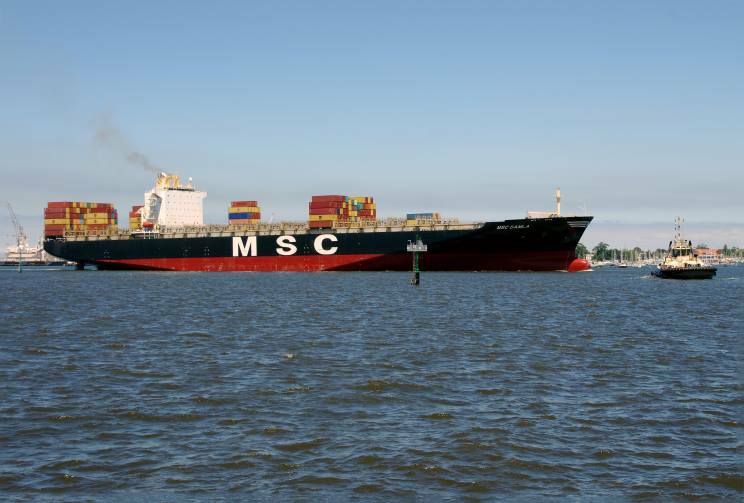 February 7, 2017: Switzer Otway seen off the starboard bows of MSC Damla on the Yarra river, Victoria, Australia.